It is our policy to give our clients a wide range of comprehensive services that are both affordable and reliable. As a feature to our current list of top-notch cleaning services, we offer to our clients end of tenancy removals throughout the entire city of London seven days a week. Everything you need from the planning stage up until you move into your new home – End of Tenancy Cleaning London will provide full-service removals. We have all the necessary materials needed to execute a proper end of tenancy removal and even though all your belongings will be packed, there will be no confusion over which box contains what. 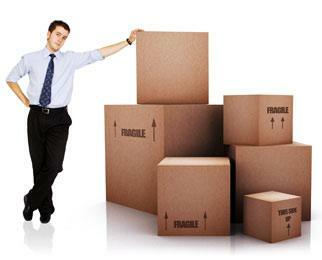 Rest assured that we are using the latest packing materials available and everything you own will be packed securely. Our company believes that when it comes to the safety and well being of our clients – there is no place for compromise! That is why our trusted employees will make sure that everything from the planning to the completion of the end of tenancy removal will be done with great care. Our workers are fully insured against damages for the unlikely event of something going wrong during the removal process and all our removal services are guaranteed. Our professional end of tenancy removal experts are well trained, tested, and they have years of working experience in this field so you can be sure that they will do a great job with attention to every detail. Very friendly and always in a good mood, our specialists will turn this rather boring event into a pleasant and stress-free experience. Our primarily goal is to provide unparalleled home support services and that is why our teams consist of ace workers only. Let us help you with the heavy burden. Don’t forget that if you request different services at the same time you will benefit from our considerable combined services discount. Call us today on 020 3404 5155 for a free quote. Let End of Tenancy Cleaning London be your removals specialist.